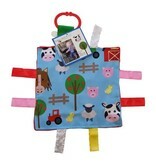 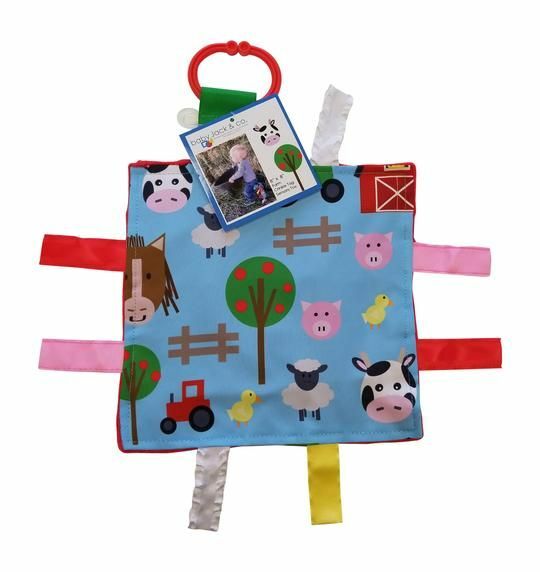 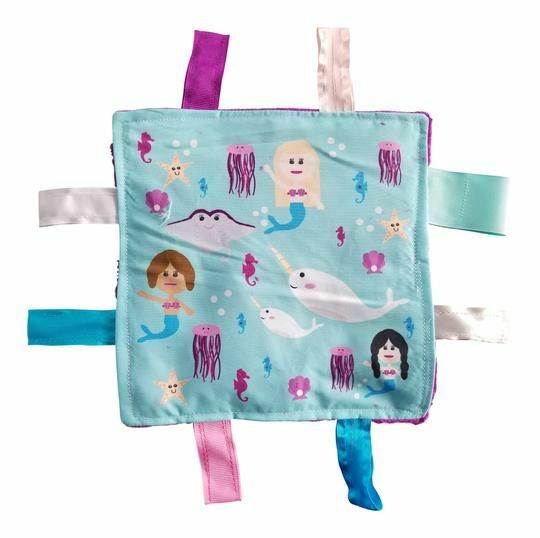 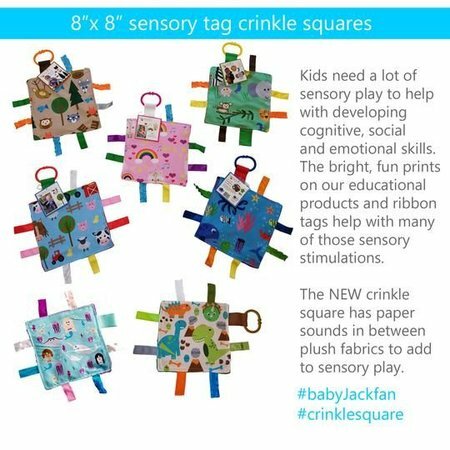 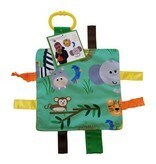 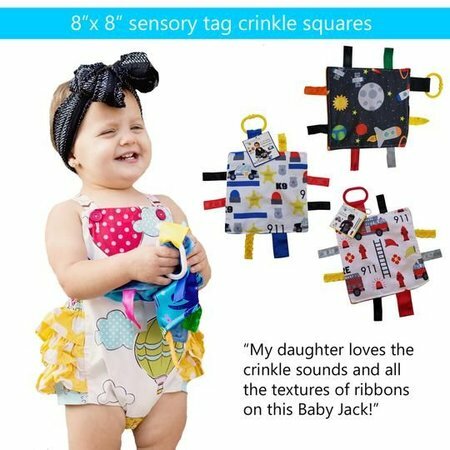 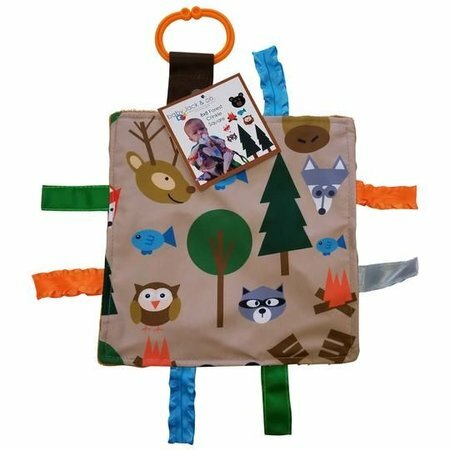 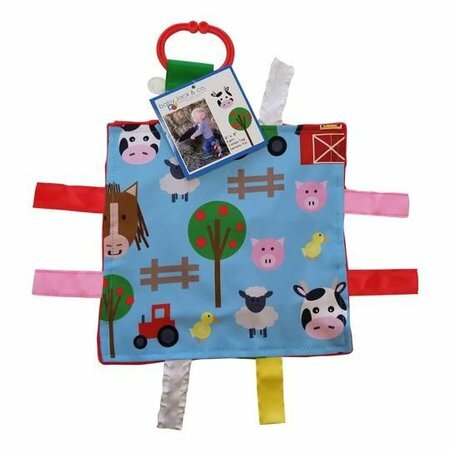 Homepage / Baby Jack Crinkle Tag Lovey 8" x 8"
Baby Jack crinkle tag squares are a great sensory toy. Children enjoy the variety of textures of the ribbons and the crinkle noise amazes babies. 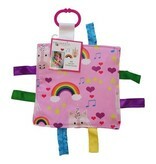 Each ribbon is sewn shut, this is an added safety feature. 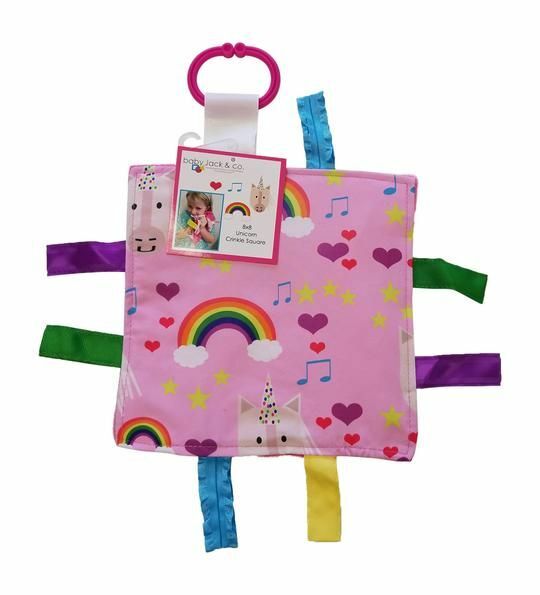 It prevents fingers from getting intertwined in ribbon loops. Each of Baby Jack fabrics are designed by Jack (8) and his sister Bailey (6) and created to be educational and modern. Notice the shapes and patterns in each print. 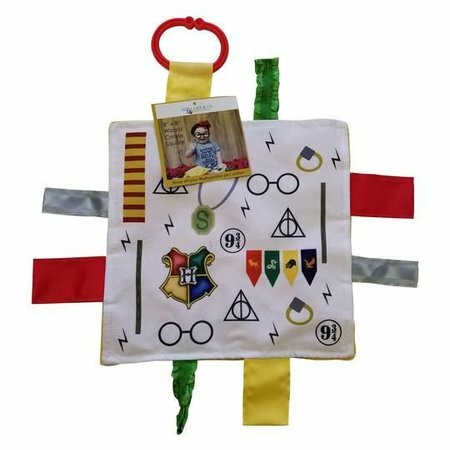 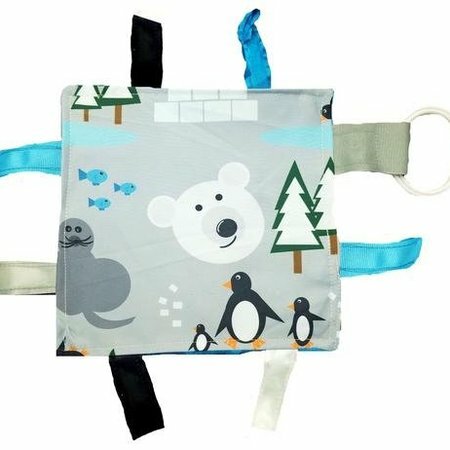 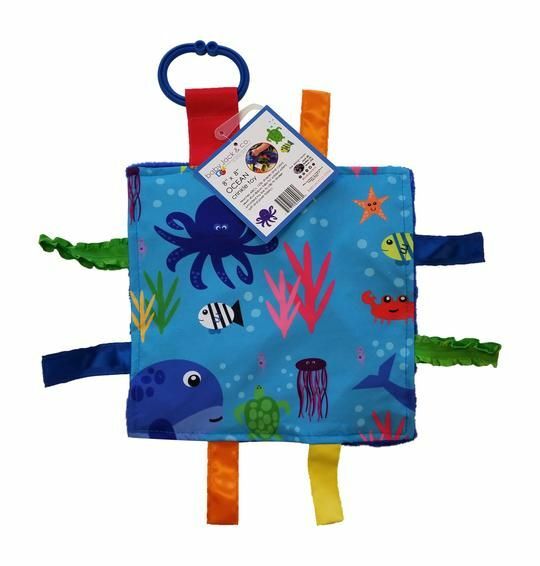 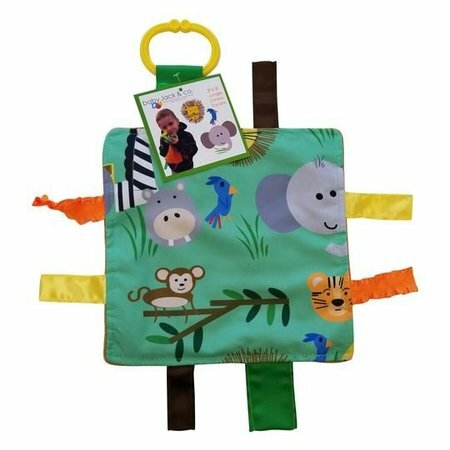 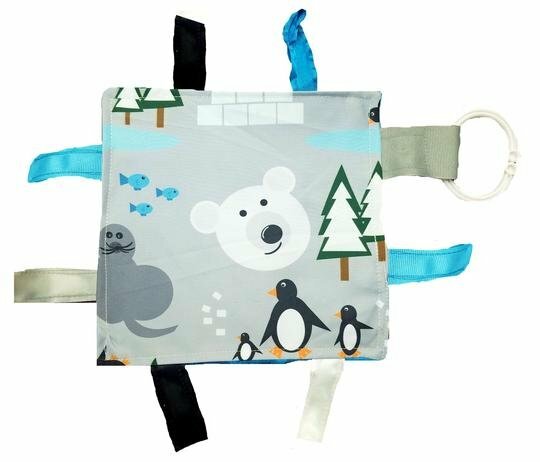 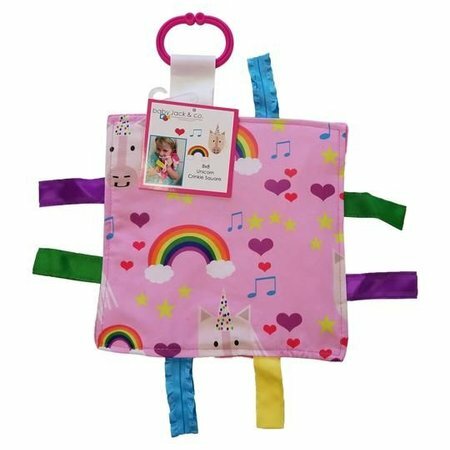 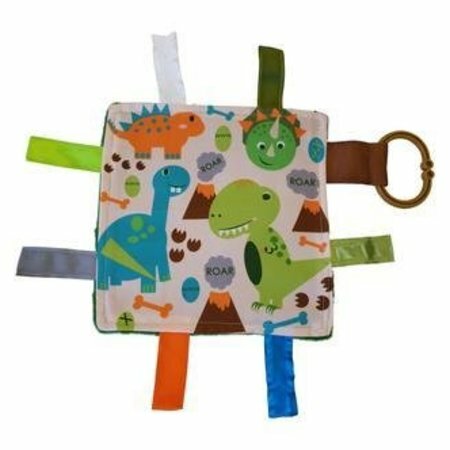 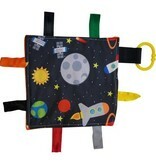 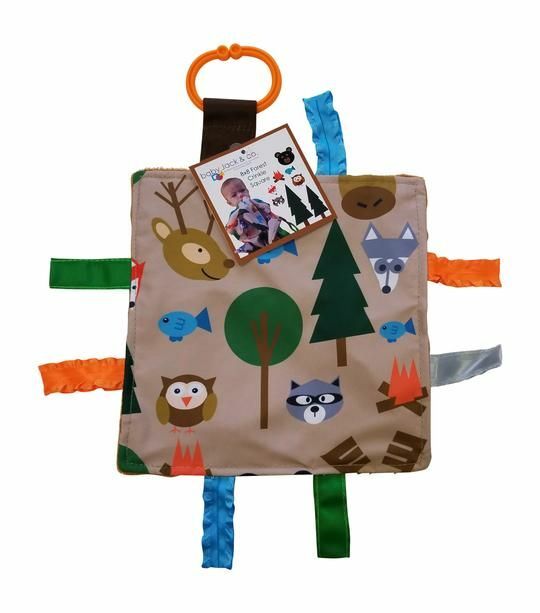 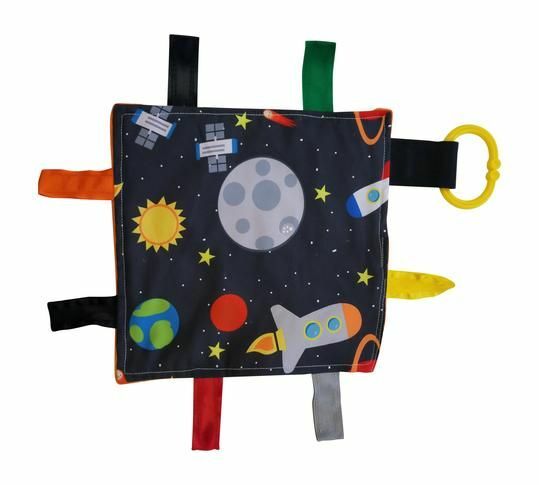 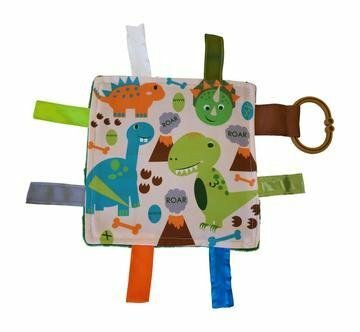 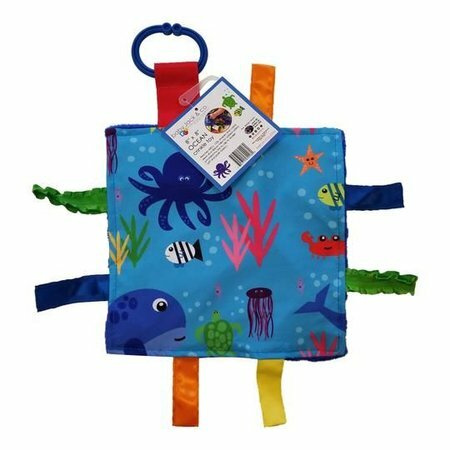 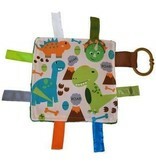 Size is 8" x 8" and comes with an attached link to clip to a stroller, baby carrier, toy or even a pacifier!